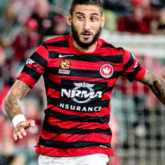 Highlight: Score his first goal for the Wanderers against Melbourne Victory in Round 14, Season 2014/15 on 6/1/2015. Description: Kalmar spent the majority of his football career in the Victorian State League system, before being scouted and signed by Melbourne Heart in 2010. 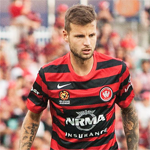 He made 69 appearances for the club, now known as Melbourne City, before being released on Boxing Day 2015 to join the Wanderers after Kearyn Baccus was hurt in training. Despite a solid set of matches his contract was not renewed. Cool I guess, lets see how he goes. 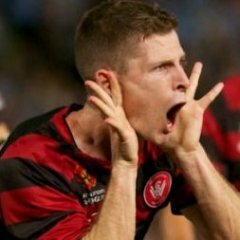 Apparently is also on an ACL deal? Showed alot of potential when Heart first started, but then was left on the bench for ages and never really recovered. I think he is a good player from what I have seen. Would like to see him and Gol Gol get a run as I think we have nothing to lose now, while these guys might have a point to prove. 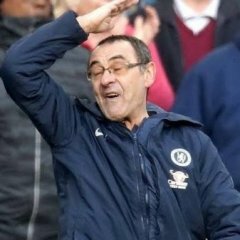 In particular, his contributions in midfield meant we were playing far less hoof ball than we have for the rest of the season. Great debut for us. Composed on the ball and would have scored a bicycle kick but for the man on the post. Solid debut. Impressive considering it's his first game of the season. i remember in the other thread when he was announced that i said he good pickup when others were scratching their heads a little, great to see he did well. Now I'll say the reason I think wasn't too successfully at Heart/City from what I remember. He was largely inconsistent for much of his career - but he showed some real hunger - hopefully can continue, provided much needed depth in CM. Can also strike a ball as well. Brilliant touch, really encouraging debut. That one move in the first half where he combined with Bridge and Ruka and got into the box...haven't seen us play like that for a long time. I actually thought the same. 'This is very unwaderers like'. We need those changes as were too predictable. Even opponents know where and when to move before our players pass the ball as we always play the same way. tbh any player who can pass the ball on the ground and actually find it's intended target is practically Jesus right now. so true, I want Gol Gols! Quiet start but very effective as the first half wore on and until he was substituted. Probably a bit short of match condition but I like what I see. Popa's reaction to the bicycle kick was priceless(anyone able to make that into a gif), did well out there and has good physical presence in midfield which is what eere lacking. Not bad. There were several times the camera cut to him and he was clapping and smiling even. Therefore, he's obviously not too fussed - the goals just aren't coming at the moment, but they'll come soon. Well done. However not a natural number 10 i think. In behind number ten would be perfect,with a screening midfielder further back. Broke the goal-scoring drought with a good shot - he's not a natural number ten but he can hold the ball up alright, seems to control the ball well at the feet and can pass well enough. I think he'll do nicely at the #10. Not super flash, not terrible but... I think he'll do nicely. And if he can shoot from distance as well, that'd be awesome! Who is getting the flick in January so this guy can sign a HAL contract? I really would like to see how he and Santa would go together. Can see his fitness getting better again tonight, same game time but he had a lot more energy & made a superb impact on the game (not just his goal). Would love to see him after two months of proper training with the boys & possibly dropping a few kgs too could be phenomenal how good of a player he could be for us! Would have liked him to play the 90, but the last thing we need is another injury to a player who hasn't played many matches in the last 1 1/2 seasons.